So we know that for germination, the seed requires moisture, heat and oxygen and as a fourth, some seeds especially fine, small seeds, also require light, like lettuce for instance, but that’s not the case with all seeds. But all seeds do need moisture, heat, and oxygen. And they need those because those are critical to the respiration process. It kicks off growth in the little embryo inside the seed. Now one of the cool things about those three characteristics as well,or the three parts, oxygen, warmth, and moisture is that if you restrict those, you can store seed for long periods and the classic way of doing that is to keep seeds dry. If you want to save seed for next year for your garden, so long as you keep them dry, like ten percent moisture,even if it’s at room temperature just keep them dry and you will be able to keep your seeds until next year and most of them are going to germinate so just keeping them dry is the first important step to storing seed. But if you want to store them even longer, you can put them in a cold situation so you remove and reduce the heat. I wouldn’t put it in the refrigerator because the refrigerators tend to be damp and we are trying to keep this seed dry. But if you put it in the freezer then the seed can be stored a long period of time five or ten years – so long as it’s dry. Dry seed put into the freezer,it’s going to store a long time and if you really want to store it for decades– I don’t mean you at home, but for national seed storage banks,for security reasons you can store seeds and in the vapor of liquid nitrogen and extremely cold temperatures for decades. And then the third,oxygen can also be restricted in order maintain seed saving longer so if you go to a seed storage repository like the USDA Seeds Lab in Fort Collins, Colorado where they have a huge warehouse of seeds from all over the world, they keep them in foil pouches tht have been evacuated of oxygen and they keep them dry and they keep them under cold conditions and the seed stores for a long time. So the point I wanted to makes, yeah you know those three are important in getting seeds to germinate but if you restrict them you can also save seed for a long period of time. Choosing a single product is really a tough job when you have a lot of options to choose from. That’s why we have compiled a list of Top snapper lawn mowers 2017. So you can have a look at the best and choose the one which suits your requirments. There are plenty of out there, few are good when it comes to Motor strength while few are good at other things . Which one should you choose? We’ll figure it out soon! 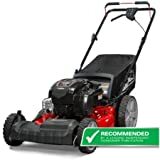 so what is the best snapper lawn mower? $. $348.00 $485.38 $. $. $. $. $399.95 $683.15 $1699.00 $529.00 $396.00 $769.00 $. $. Product prices and availability are accurate as of Jan 12 11:40:10 UTC but are subject to change. Any price and availability information displayed on the merchant site at the time of purchase will apply to the purchase of this product. 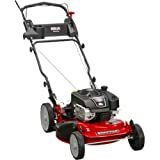 Snapper Lawn Mower XD SXDWM82K 82V 21-Inch Cordless Stroll Mower Equipment – Battery & Speedy Charger Included. 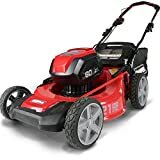 The Snapper Lawn Mower xd 82-Volt 21″ stroll mower package powered by Briggs & Stratton provides a strong, sturdy and dependable battery powered device that delivers on efficiency. Business’s first 82V lithium ion stroll mower powered by Briggs & Stratton is constructed for sturdiness with its 21″ metal deck. This quiet stroll behind mower is simple to make use of with a single lever top adjustment permitting you to select from 7 totally different slicing heights. Vertical storage capabilities saves as much as 70% of space for storing. Straightforward begin and fewer upkeep with the included (2) Briggs & Stratton 2.0Ah lithium-ion battery. Mow through your yard work with ease with this wireless, environment-friendly stroll mower. 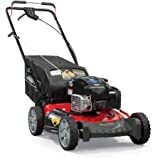 Snapper Lawn Mower 60-volt lawn and garden system powered by Briggs and Stratton provides highly effective and dependable battery powered instruments at an incredible price with out sacrificing energy and efficiency. The entire system has 5 instruments on one battery. Mow, trim, prune and blow via your yard work with out problem. The business’s first 60-volt lithium-ion battery powered mower is constructed for sturdiness with a 21-inch metal deck. This quiet stroll behind mower is simple to make use of with a single lever top adjustment permitting you to select from seven totally different slicing heights. Expertise dependable energy, straightforward begin and fewer upkeep with this Snapper Mower 60-volt lithium-ion cordless push mower. Snapper Mower SP60V 60V Mower Consists of 4Ah Battery and Charger: 60V of battery energy — 1 battery, a number of instruments Brushless motor for prime effectivity and longer motor life Good Lower Know-how mows as much as half acre on single cost, with included battery Heavy-duty 21″ metal deck for added sturdiness and fewer passes Vertical storage succesful, saving as much as 70 % space for storing 7-position slicing top vary from 1-Three/eight to Three-Three/Four” Premium design with Three-position deal with adjustment ensures consumer consolation for all customers Consists of one 4Ah battery and charger Appropriate with Snapper Lawn Mower 60V battery (fashions SBA260V, SBA2560V, SBA2560V) and charger SCH60V Device weight: 57.eight lbs What’s within the Field:Lawn mower, 4Ah Battery, 60V Charger and Proprietor’s Handbook 10-year brushless motor guarantee; Four-year restricted guarantee; 2-year battery guarantee. HI-VAC® Mower Deck The key to the Hello-Vac® mower’s potential to bag or disperse clippings is wind velocity. The distinctive blade and rolled deck-edge design generates giant volumes of air to create vacuum-like suction. Ninja® The six slicing surfaces of the Ninja® mulching system finely shred clippings so that they return vitamins to your yard quicker. The deck is specifically designed so the blade can reduce and re-cut grass blades. 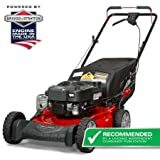 Snapper Lawn Mower P2185020E HI VAC RWD Push Lawn Mower – Electrical Begin. 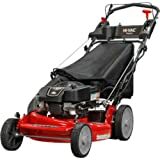 Best mower for bagging followers, the HI VAC mower deck with its vacuum like suction effectively cuts & baggage your grass. HI VAC stroll mowers give your yard an extremely clear end. 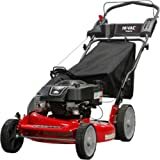 This Snapper Mower 21″ walk-behind lawn mower additionally contains a rear wheel drive system with excessive 10″ rear wheels for superior traction on hills & thick grass. The dependable Briggs & Stratton skilled sequence OHV engine retains you going with professional-grade options from Prepared Begin expertise to quieter operation & elevated sturdiness. 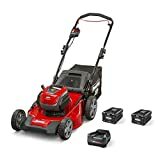 The Snapper Mower P2185020E mannequin provides you the extra ease of electrical begin together with recoil begin. 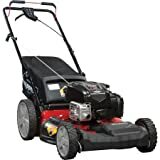 Snapper Lawn Mower P2185020 HI VAC RWD Push Lawn Mower. 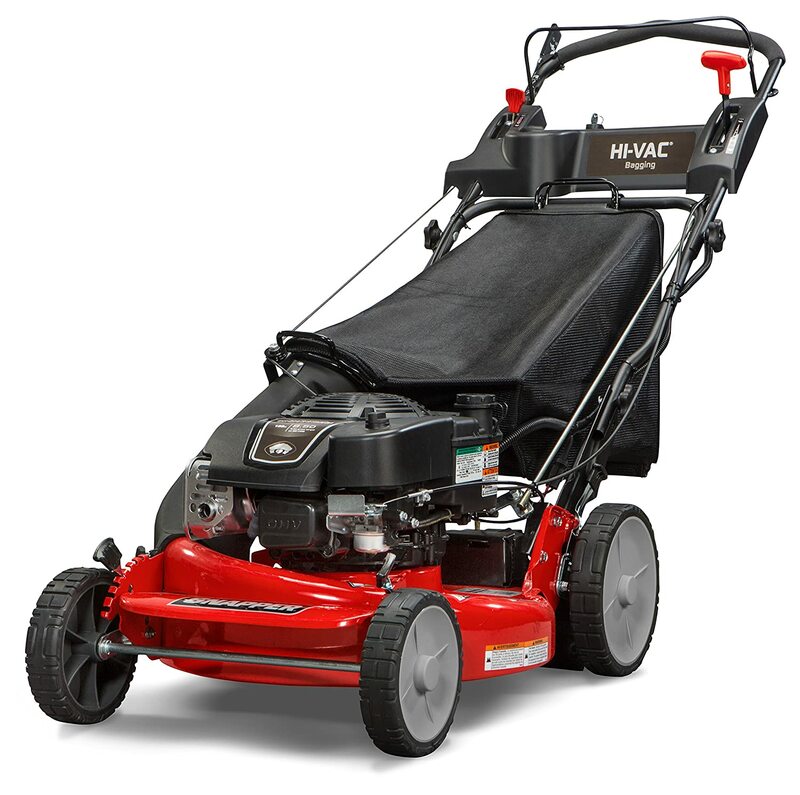 Best mower for bagging followers, the HI VAC mower deck with its vacuum like suction effectively cuts & baggage your grass. 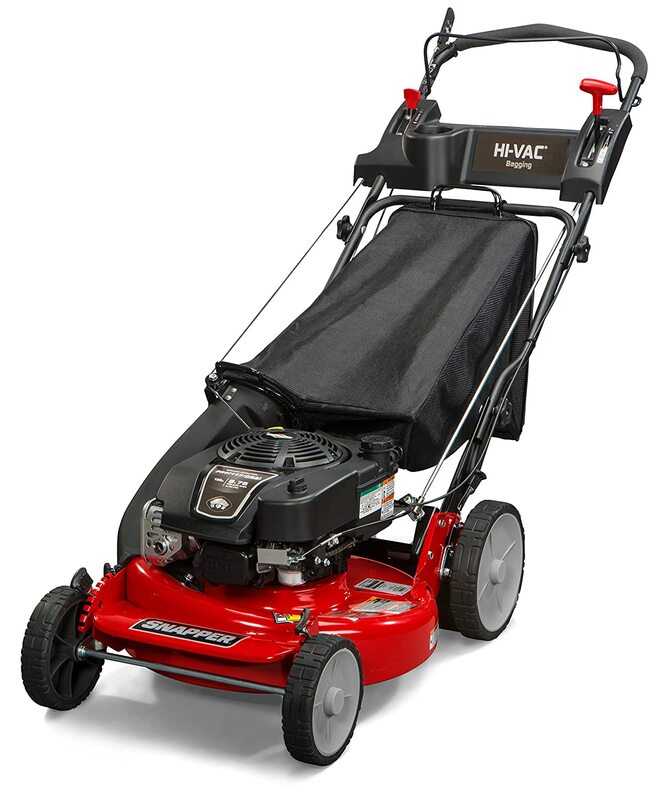 HI VAC stroll mowers give your yard an extremely clear end. 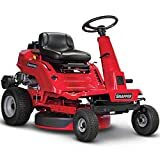 This Snapper 21″ behind lawn mower additionally contains a rear wheel drive system with excessive 10″ rear wheels for superior traction on hills & thick grass. 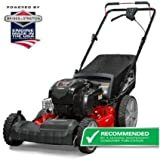 The dependable Briggs & Stratton skilled sequence OHV engine retains you going with professional-grade options from Prepared Begin expertise to quieter operation & elevated sturdiness.